For proper arrangement of tools in a storage system. Two types of Modules are provided. Foam Modules highlight with colour that a tool is missing when it is not placed back. we offer modules which are specifically designed for your tools also. Modules are available in wide range of selections according to the requirement. 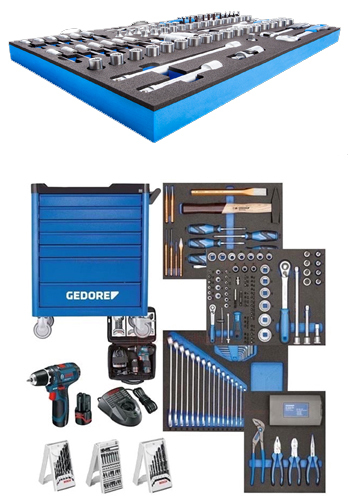 Tool Modules are available in 2 brands in our range Gedore & Carolus.